Note: This title is also available on DVD. This quote sums up the film’s importance rather nicely. Hitchcock was considered a genius early in his career with such films as The Lodger, The Ring, and Blackmail. However, he had long been in decline. After a string of poorly received films, the director was still finding his voice (one notices that his more successful early efforts were thrillers). With The Man Who Knew Too Much, Hitchcock discovered this voice and began a series of thrillers that cemented his reputation as “the master of suspense” while also attracting attention from Hollywood. 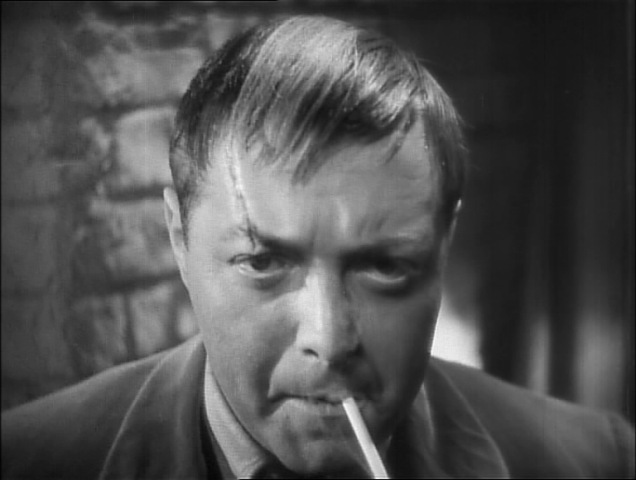 It is also noteworthy to mention that this is Peter Lorre’s first English speaking role. It would probably not be an exaggeration to say that this film gave him a foothold on his prestigious Hollywood career. There is the inevitable argument between Hitchcock enthusiasts as to whether this or his 1956 remake is the better film. Hitchcock himself told Francois Truffaut in his excellent book length interview that, “the first version was the work of a talented amateur and the second was made by a professional.” However, he was speaking to a man who obviously had a preference to the 1956 version. He might have been swayed to give Truffaut a comment that would mesh with his obvious opinions on the subject. One must remember that Hitchcock loathed conflict. In the end, these are different films. Each has its own set of strengths and weaknesses. Whatever one’s opinion might be, it is hard to argue against the importance of this first version to Hitchcock’s career. 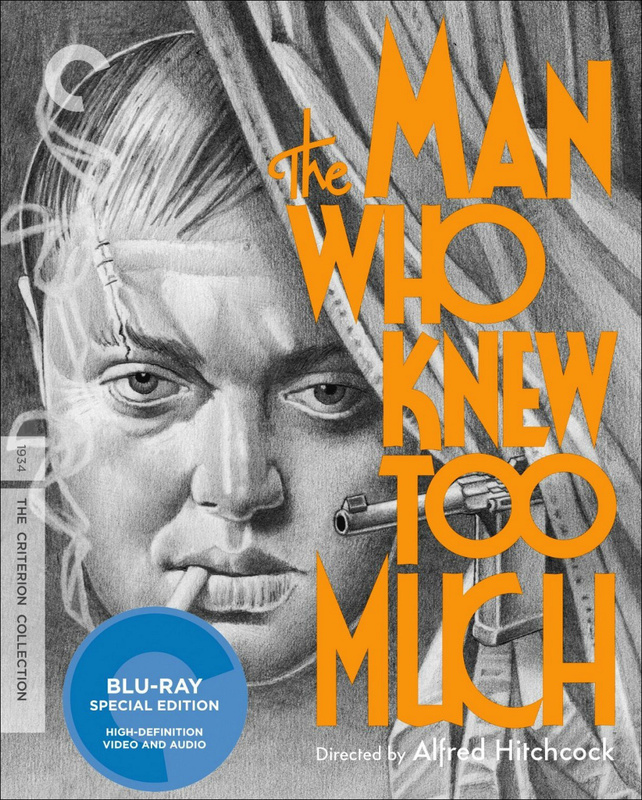 Criterion usually manages an extremely classy presentation for its releases and I am happy to say that The Man Who Knew Too Much is not an exception. 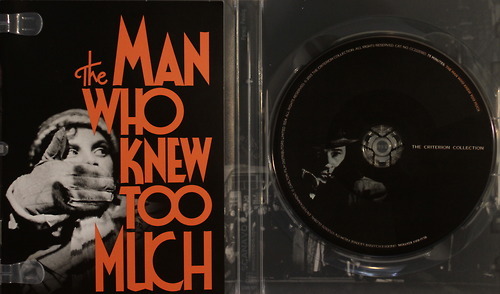 The disk is contained in a clear shell with amazing cover artwork by Bill Nelson (designed by F. Ron Miller). When one opens the case, there is a photo from the film’s climatic gun battle. The disc’s 15 chapters are also listed clearly here. There is a wonderful booklet inside the case that includes an interesting essay on the film entitled, Wish You Were Here. It was written by Farran Smith Nehme. The book is also gorgeously illustrated with photography from the film. 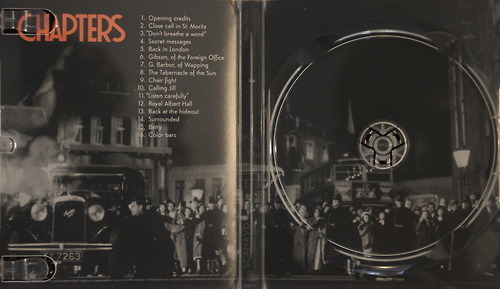 The final pages of the booklet include interesting information about the transfer, production credits, and thank various people who made the release possible. The menus are nice and in the Criterion style. They employ footage from the film along with Arthur Benjamin’s The Storm Clouds Cantata. They are really quite attractive. I cannot tell you how many public domain releases of this film I have bought on DVD throughout the years (with the hope that I would find a version that was actually watchable). These releases were so washed out and beaten up that it was difficult to actually appreciate the work that Hitchcock put into the film. There were no negatives of the film to work from and in order to get a decent 2K transfer, Criterion had to work from a 35mm nitrate fine-grain master positive from the BFI National Archive vaults. It was a difficult process, but the results are truly amazing. Watching this Blu-ray was like seeing the film for the first time. Criterion managed a consistently sharp and clear picture with almost perfect contrast. Edge flicker does not seem to be an issue here either. I did see a few hairs and lines here and there, but this is a truly remarkable presentation. I cannot see anyone beating this release in terms of picture quality. This film is 79 years old and Criterion seems to have resurrected it from the grave. The quality could be considered a minor miracle. The English LPCM 1.0 soundtrack (with optional English SDH subtitles) is also an improvement over the public domain releases. These tracks had very loud pops and a constant hiss that continued to annoy through the many dropouts evident in these sub-standard discs. This Criterion soundtrack is better in every way. There is little to no perceivable hiss and dropouts seem to be non existent. I do not recall hearing any pops or any other major issues with the track. The music is sometimes flat and the dialogue is sometimes muffled, but I feel that these issues are evident in the source and one cannot blame Criterion. I prefer documentaries to commentaries because of the tendency that many commentaries have of telling you what you are seeing on screen. It can be a lot like listening to commentators during a sports broadcast. On occasion, a good commentary will come along that actually provides you with information. This is one of those commentaries. Kemp gives listeners a wealth of information that audiences should find interesting. The issue here may be that there is so much information that it is difficult for some of it to actually soak in. A few people might be irritated by Kemp’s dry delivery, but I found the track to be an enjoyable addition to the disc. This documentary is my personal favorite of the disc’s special features. We are given two interesting interviews with the master himself. These interviews are complete with footage from the mentioned films. I found it thoroughly enjoyable. The picture quality is not as crisp, but the content itself is fantastic. People who have read Truffaut’s book length interview will find this audio interview familiar. A photo of the two great filmmakers (taken at the time of the interview) fills the screen as we hear them discussing The Man Who Knew Too Much. Helen G. Scott’s interpretation of both the questions and the answers can become tiresome, but the conversation itself is extremely interesting. This is an illustrated interview with the contemporary filmmaker, Guillermo del Toro. 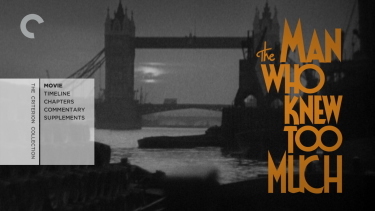 In this piece, he discusses both Alfred Hitchcock and The Man Who Knew Too Much. It is less essential than the interviews with Hitchcock, but it remains interesting to fans of either director. This is more than a simple before and after comparison of the film’s restoration to the source print. It is an interesting discussion on how Criterion was able to manage such an excellent transfer. I enjoyed this short piece quite a bit. Criterion has done some amazing work on this film and it certainly belongs in every Hitchcock fan’s collection. There is absolutely no reason not to purchase this amazing disc.